Eric Dungey threw for three touchdowns, Ervin Phillips had a pair of scores and Syracuse beat Boston College 28-20 on Saturday, sending the Eagles to their 12th straight Atlantic Coast Conference loss.Dungey went 32 for 38 for 434 yards. He also ran 17 times for 54 yards for the Orange (4-4, 2-2 ACC).Last week, he became the first player in school history to throw for over 300 yards and rush for over 100 in an upset victory over then-No. 17 Virginia Tech. When Syracuse coach Dino Babers thinks about last week's victory over Virginia Tech, he thinks about his team's future, not its past. "Any time you take over a new program, there's going to always be that game that everyone goes back to that turns the program," he said this week. "And hopefully three, four, five years down the road, people will point back to this game. "Fresh off a 31-17 upset of the then-No. 17 Hokies, Syracuse (3-4, 1-2 Atlantic Coast Conference) travels to Boston College (3-3, 0-3) to play its former Big East rivals. 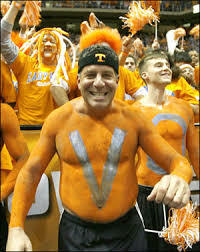 And Babers is hoping his biggest win yet in his first year as the Orange coach will be just the first of many. Florida transfer Elijah Carter?is headed to?Boston College and will be immediately eligible. "First I would like to say thanks to all three schools for the relentless pursuit in my abilities. I will be doing my final year of collegiate basketball at Boston College ! #EAGLES," he announced on Twitter. The 6-foot-2 New Jersey native recently visited Georgetown and UNLV but is headed to the ACC instead. Ty Graves, a 5-foot-11, 165-pound 2016 point guard from Montverde (FL) Academy, verbally committed to Boston College on Wednesday. "Yeah, he did a verbal commit?this morning," his father, Kevin, told SNY.tv. "The campus is beautiful, the facilities are great. [He liked] the academics, they have their own law school, the coaching staff. Coach Scott Spinelli started recruiting Ty at Maryland. He was at Maryland with Coach [Mark] Turgeon. When he got the job at BC for the first year, he just never stopped recruiting?Ty. He came to see us in Vegas. He came to see us in Myrtle Beach, he came to see us in Pittsburgh, he was just always there. Matt Milon has committed to Boston College. "Blessed to say that I have committed to Boston College!" Milon tweeted. Boston College on Saturday landed a verbal pledge from 6-foot-11, 235-pound Los Angeles Cathedral big man?Idrissa Diallo, a former Cal commit. Diallo decommitted from Cal after the coaching change that brought in Cuonzo Martin. "It's a legit opportunity to play the four spot in the ACC with a coach [Jim Christian] that's committed to him and his ongoing development," Cathedral coach?William Middlebrooks told SNY.tv by phone. "He understands where he is, where he's trying to go and I think he's genuinely committed to help him going there." Former Oklahoma State pledge?Jared Terrell visited Boston College on Monday and Rhode Island on Tuesday, sources told?SNY.tv. Adam Finkelstein reported that Terrell said he "really enjoyed" his visit to BC. Boston College recently hired Jim Christian as head coach and Christian added?Preston Murphy, a former Rhode Island assistant, and?Scott Spinelli, a Massachusetts native, to his staff. Matt Farrell, a 6-foot-2 point guard from Point Pleasant Beach (N.J.), verbally pledged to Boston College over Monmouth and Dartmouth on Tuesday. "I wanna be challenged and I wanna see if I can play at the highest level," Farrell said, according to Josh Newman of the Asbury Park Press. Farrell is the second Point Pleasant player to pledge to a Division 1 school in recent weeks, following 6-8 forward Dom Uhl, who committed to Iowa on SNY,tv. He is BC's first pledge in 2014. Garland Owens, a 6-foot-5, 205-pound small forward from Massanutten (Va.) Military Academy, pledged to Boston College Sunday, choosing the ACC school over Seton Hall after visiting the Pirates this weekend. "The coaching staff made me feel like I was a part of the family," Owens, a Maryland native, told SNY.tv after it was previously reported by several outlets. "They have something special in store for me. And it's in the ACC, arguably the best conference in the world." Amir Garrett, a four-star wing from Las Vegas, says St. John's and Oregon top his recruiting list right now. "I'm considering St. John's and Oregon," the 6-foot-6, 194-pound Garrett said by phone from the Boost Mobile Elite 24 game in Venice Beach, Calif. "They're at the top right now." The No. 16 small forward in the Class of 2011 according to Rivals, Garrett is also considering Boston College, Kansas and Miami. The Top 3 players in the Rivals Class of 2012 are all centers. Now one of them is off the board. Amir Garrett is one of the top small forwards in the Class of 2011 and he's currently planning out his schedule of visits. "He's going to officially visit Kansas, Miami and Boston College," Garrett's coach, Matt Goren, said Wednesday by phone. The 6-foot-6 Garrett has already visited St. John's and Boston College unofficially. Former Monmouth forward Travis Taylor is now back on the market and won't attend Boston College. I'm hearing BC wasn't aware that Taylor had been suspended for seven games last season for ?violating team rules." Really? How do you not know that? When 6-foot-8 rising senior forward Tyler Harris takes an unofficial visit Thursday to Rutgers, he will be the latest in a list of high-profile recruits to check out the campus in recent weeks. Consider that in the last two weeks, Mike Rice's staff has brought in Naadir Tharpe, Jordan Goodman, Jaron Sina, Tyrone Johnson, Myles Mack, Derrick Randall and Kadeem Jack on visits. Baylor transfer Givon Crump also came to Piscataway. 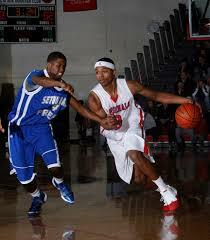 The 6-8 Goodman, considered one of the top players in the Class of 2012, ended up committing after his visit. Monmouth transfer Travis Taylor has taken two visits so far. He saw Seton Hall last Saturday and Boston College last Sunday and Monday. The 6-foot-7 Taylor is scheduled to visit Temple on Sunday and Monday. "Right now that's all the visits the Taylors have set up," said Bill Diamond, Taylor's mentor. NEW YORK -- Desmond Hubert is a long way from cutting his list of schools, but he says two should make his top five. "'Nova and Pitt," the 6-foot-9, 205-pound Hubert said Friday night at the Rumble in the Bronx at Fordham. "Great programs, I like the head coaches." As for Villanova, Hubert said he liked head coach Jay Wright and the whole program. Mike Poole spent Wednesday on an unofficial visit to Rutgers and hopes to make a college decision relatively soon. "It was nice," the 6-foot-6, 184-pound wing from Queens and St. Benedict's Prep said. "I got to see the campus for the first time. I've been up there a lot but never got to see the whole campus." Poole said he had a nice talk with new head coach Mike Rice as well as assistant coaches Jimmy Martelli and Jimmy Carr. Mike Poole, a 6-foot-5, 175-pound wing from St. Benedict's Prep, has been offered a scholarship by new Rutgers head coach Mike Rice and will visit the campus Wednesday and Thursday. Rice will also host Notre Dame Prep players Cleveland Melvin and Antoine Myers this week. "[Poole] will take an unofficial to Rutgers [Wednesday] and then he will be visiting Boston College and Seton Hall," said Nate Blue, Poole's mentor. **Former Clemson coach Oliver Purnell (pictured) has agreed to a seven-year deal to take over DePaul. The Blue Demons have gone 1-35 in Big East play over the last two years. **Steve Donahue is moving to Boston College from Cornell. Donahue, who did not immediately answer a text message, will be introduced at a Wednesday news conference. Hofstra has moved quickly to hire former Providence coach Tim Welsh as its new coach. The former Providence and Iona coach replaces Tom Pecora, who last week took the Fordham job. Welsh, a former SNY analyst, will get a five year deal and will be introduced Thursday at a press conference. Point guard Bryon Allen of Upper Marlboro, Md. is looking at four schools for next year. The 6-foot-3, 205-pound Allen is considering Siena, Oregon, Boston College and Providence. "I'm signing in April," Allen said Sunday by phone, referring to the NCAA late signing period. Tyrone Johnson, the 6-foot-2, 170-pound?junior point guard from Plainfield (N.J.) High, has long been a target of the Georgetown Hoyas. Coach John Thompson III's staff was among the first teams involved with the powerful and skilled floor general. But it wasn't until last week that the Hoyas actually offered him a scholarship. Rod Odom is headed West. "I am an Arizona Wildcat," the 6-foot-8, 210-pound?Odom, a senior from Long Island who plays at Concord (Mass.) Middlesex,?said by text. Reach by phone a little after 6 p.m., Odom said he made the decision "about 10 minutes ago." Rod Odom took his final official visit to Boston College this weekend and is now set to decide among four schools. The 6-foot-8, 195-pound Odom out of Concord (Mass.) Middlesex?says he will choose one of the following four schools: Arizona, Boston College, Vanderbilt or West Virginia. "I'm pretty much done taking visits," Odom said Sunday afternoon. "I'm just looking to talk things over with my family the next couple of days." Trevor Releford, a 6-foot, 180-pound point guard from Shawnee Mission (KS) Bishop Miege, committed to Alabama Friday over Oklahoma. "Yes. I liked the campus, the players and the coaches," he said by phone. Releford, the younger brother of Kansas guard Travis Releford, previously said he likes Alabama because of his relationship with new head coach Anthony Grant. Rod Odom, the 6-foot-8 wing from Concord (Mass.) Middlesex, is on his way to Arizona this weekend for his first official visit. "I'm in the airport waiting to go," Odom, the No. 19 small forward in the Class of 2010, said Friday morning. After the Arizona visit, Odom will take an official to Harvard next weekend and then? Boston College Oct. 3. Cameron Wright, a 6-foot-4, 195-pound combo guard from Cleveland (OH) Benedictine who initially committed to Ohio State, committed to Pittsburgh on Sunday night after visiting the school Saturday. "Yes, I did about an hour ago," Wright said by phone. Wright chose Pitt over an impressive slate of schools including Indiana, UCLA, Wisconsin, Michigan State, Notre Dame, Georgia Tech and Cleveland State. Florida and West Virginia also showed interest. One of the hottest names on the AAU circuit this summer is J.J. Moore, a 6-foot-5, 190-pound senior wing from Brentwood, N.Y. who will play at South Kent (Conn.) this fall. Virtually every Big East assistant I spoke with had interest in Moore. Now he is in the process of planning his visits. Mike Rosario and Rutgers fought hard against No. 18 Marquette, but the Scarlet Knights dropped their third straight Big East contest and fourth straight overall. Rosario, the freshman out of St. Anthony in Jersey City, scored 16 of his team-high 22 points in the second half before fouling out in the final seconds of an 81-76 loss. ?It?s just very difficult to dig yourself a hole like that," said Rutgers coach Fred Hill, whose team was down 21 points. "It takes so much energy and there?s no margin for error. I?m very, very proud of the kids and the way they battled and the way they kept coming and the things that they did. But it?s very difficult to put yourself in a 21 point hole and think you?re going to come back and ultimately overtake a really good team to win the game.? It was a Big Day for the Big East, with UConn and Syracuse both winning nationally televised games, St. John's rolling into the finals of the Holiday Festival at Madison Square Garden and Rutgers getting another strong performance from its freshmen studs. **I was at MSG, where the Johnnies routed Marist 65-44 to advance to Sunday's title game against Virginia Tech in the Holiday Festival. St. John's, playing without injured stars Anthony Mason Jr. and Justin Burrell, is now 9-1, its best start since 1990-91. Read my game story here on SNY.tv. **In Seattle, A.J. Price had 24 points and 10 rebounds to lift No. 2 UConn over No. 8 Gonzaga, 88-84, in OT. Jerome Dyson scored six of his 21 in the extra period. Price drained a 3-pointer at the buzzer in regulation to send it to OT. Read that story here. Boston College became the latest major school to offer a scholarship to 6-8 junior Rod Odom of the Middlesex (Ma.) School. "He went down there Tuesday," said Rod Odom Sr., whose family lives on Long Island. "His coach brought him down to take another look at the campus. He played some pickup with the guys. He sat down with (Coach Al) Skinner for a while. Coach Skinner gave me a call yesterday to offer the scholarship. "The academics at Boston College are great. Coach Skinner has a great record, and it's an ACC school so there are a lot of attractive things about Boston College that we like. He definitely has an opportunity to play there away and they have had a knack for finding talent and developing that talent."